This week’s Doctor Who took us back to Regency London, complete with a frozen River Thames and some wonderfully questionable accents. 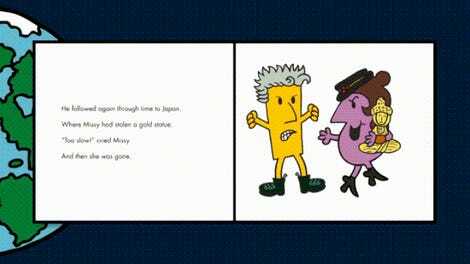 But while the Doctor and Bill discovered a strange threat in the icy depths, the real discovery was some extra layers to the duo’s still-burgeoning relationship. 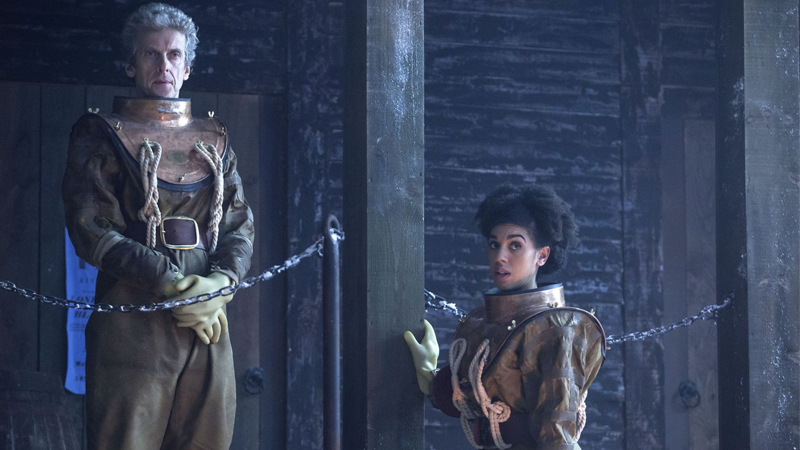 Like I said with “Smile” last week, Peter Capaldi and Pearl Mackie’s chemistry together is becoming the reason to tune into Doctor Who these days. Although “Thin Ice” was a much more involved episode in terms of actual things going on—and huzzah, a thoroughly punchable villain to go with the standard misunderstood creature this time!—a lot of it still rested on the shoulders of Capaldi and Mackie, who once again knocked it out of the park. Although the companion discovering and adapting to the darker streak within the Doctor (and the reality that death and destruction often follow where he goes) isn’t a new conceit on Doctor Who, considering it’s been so long since we saw it through a fresh character’s eyes, Bill’s initial shock and outrage at what the Doctor has come to accept in his adventures was wonderful to watch unfold. As was the Doctor’s growing fondness for his new friend—his cold rebuttal of Bill’s anger is was something straight out of the playbook of Capaldi’s earliest days at the Doctor, but by the time he comes out swinging (literally!) against the villainous Lord Sutcliffe to defend her, you can feel just how much the Doctor already cares about Bill. It’s so sad that this relationship between the Twelfth Doctor and Bill only gets season 10 to flourish—whether or not Mackie stays on post-regeneration, not having Capaldi by her side for more than 12 episodes is going to be such a shame. Her addition to the show has been one of the best decisions in years, and I can’t wait to see where Bill goes next. Our full recap of “Thin Ice” will be up Monday morning, but for now, share your thoughts in the comments below.